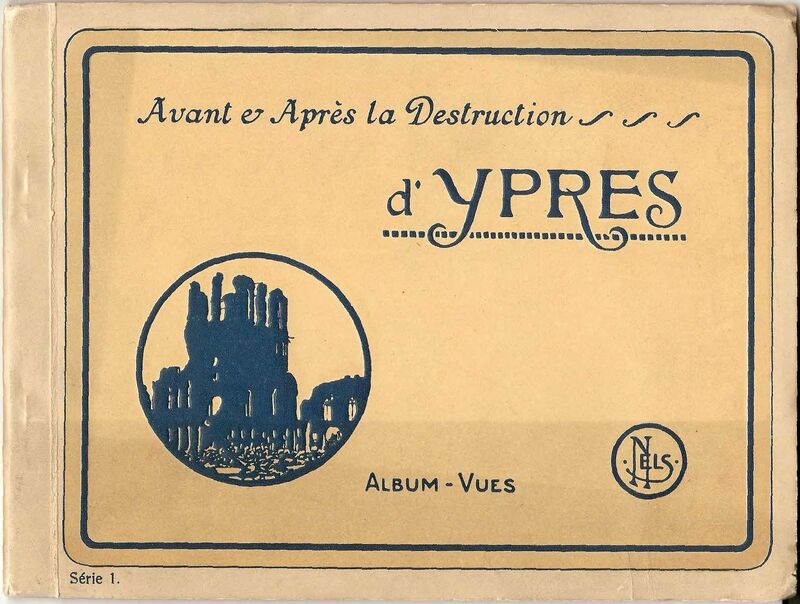 • To the organized workers! 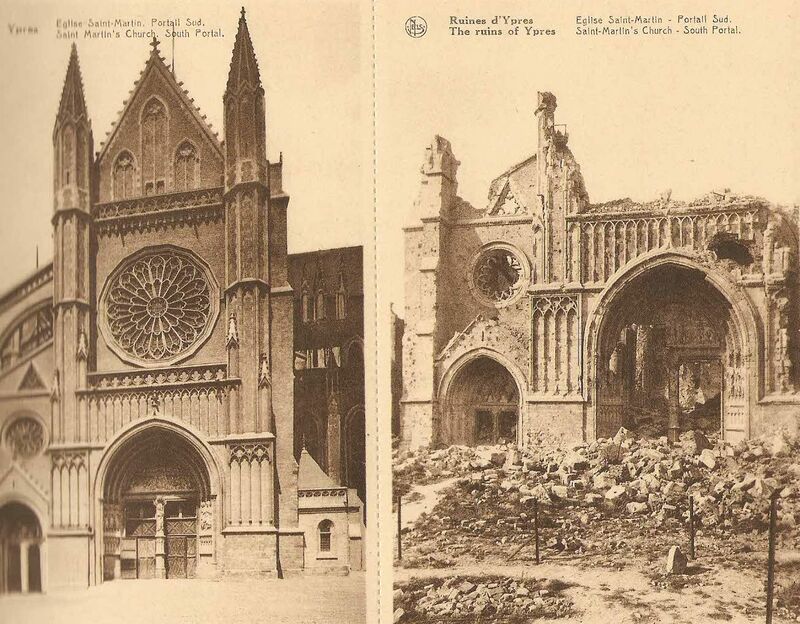 • The election of Pope Benedict XV. 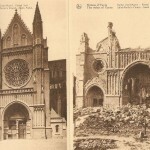 • Death of Charles I. 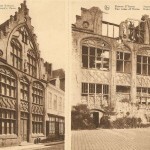 • The City Council fixed the price of coal and firewood in order to stop fuel speculations. 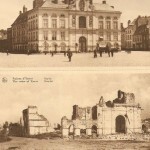 • 6th Congress of the Hungarian Trade Unions. 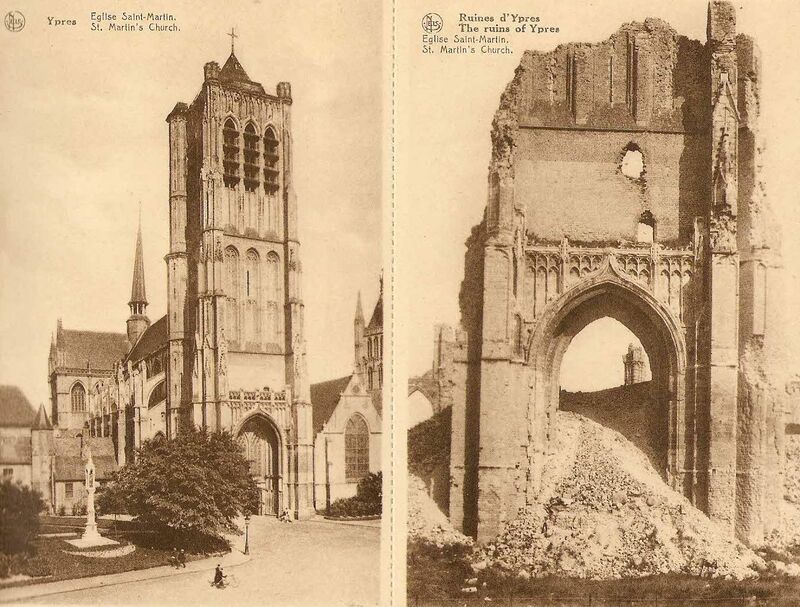 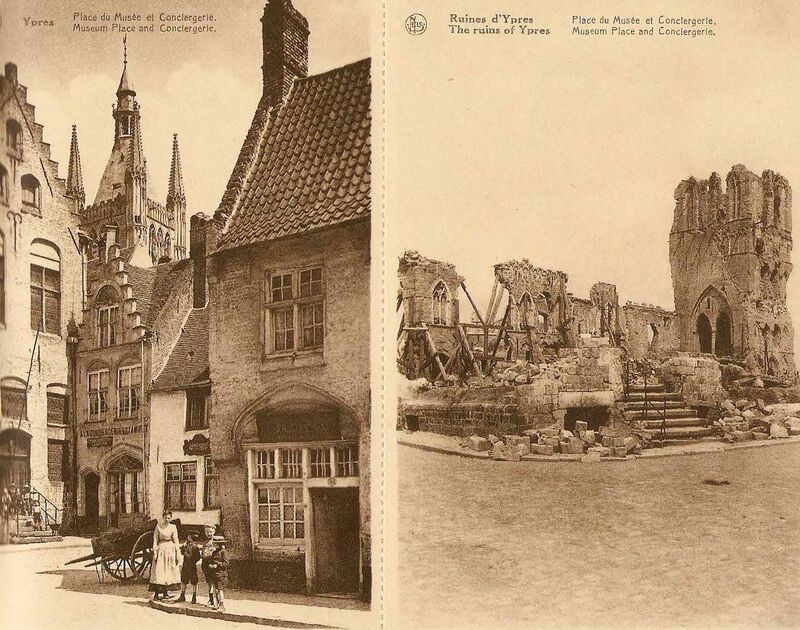 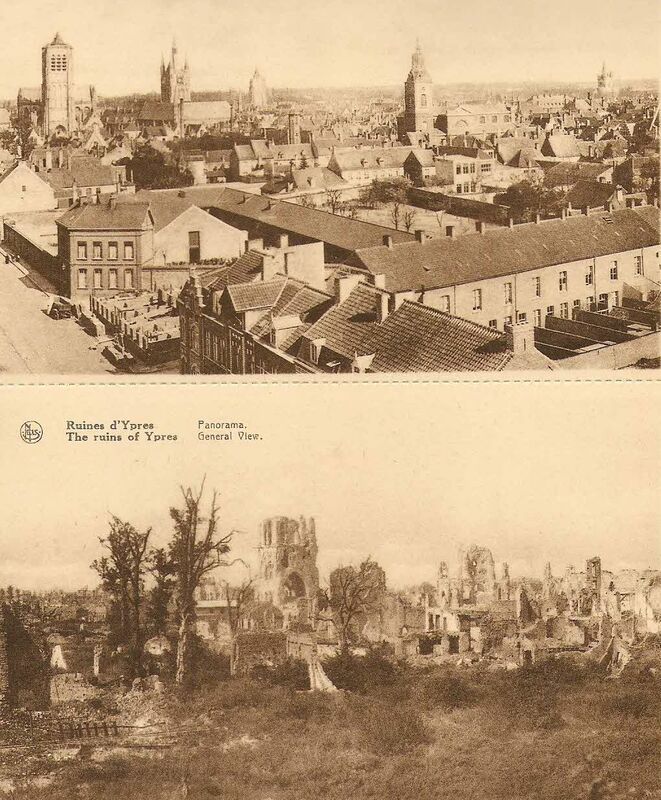 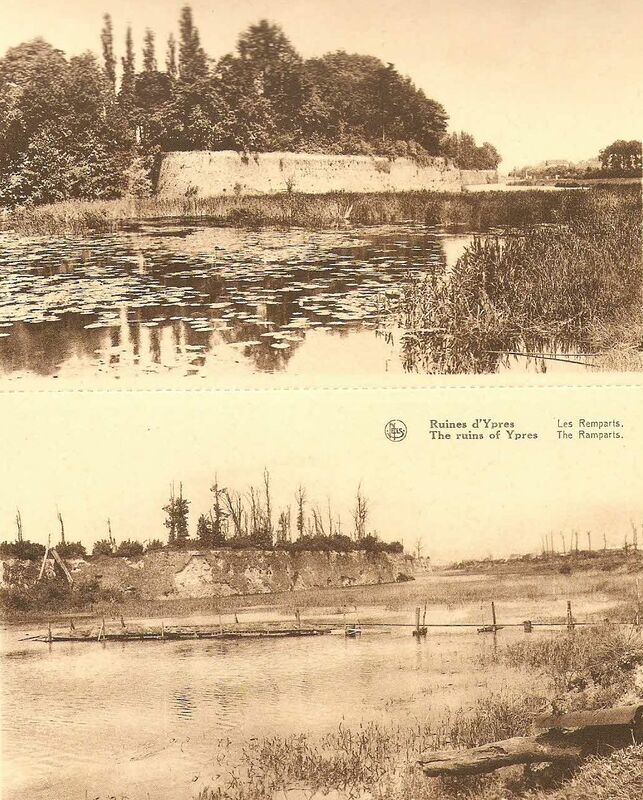 The gallery below shows twenty postcards printed in 1918 regarding the demolishment of the city of Ypres and its monuments. 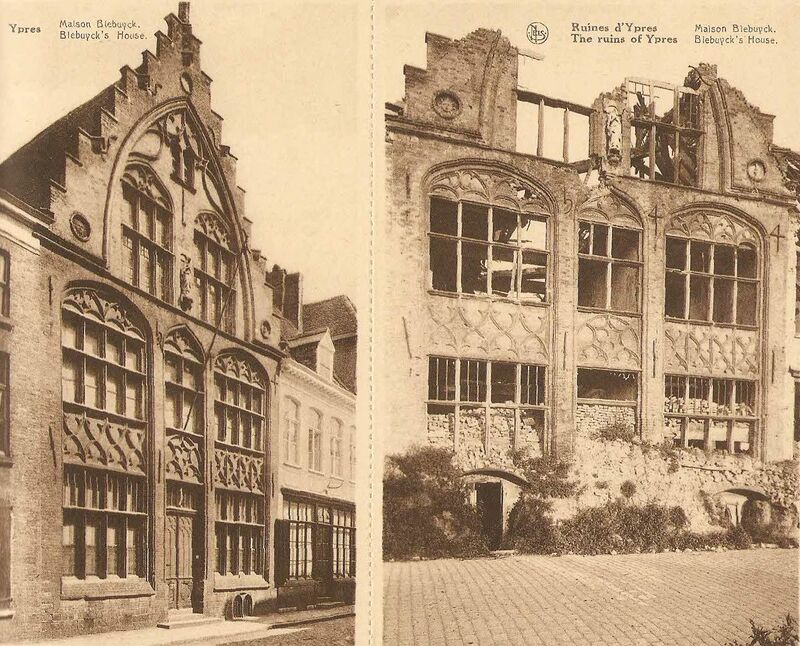 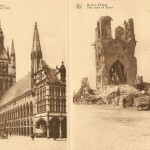 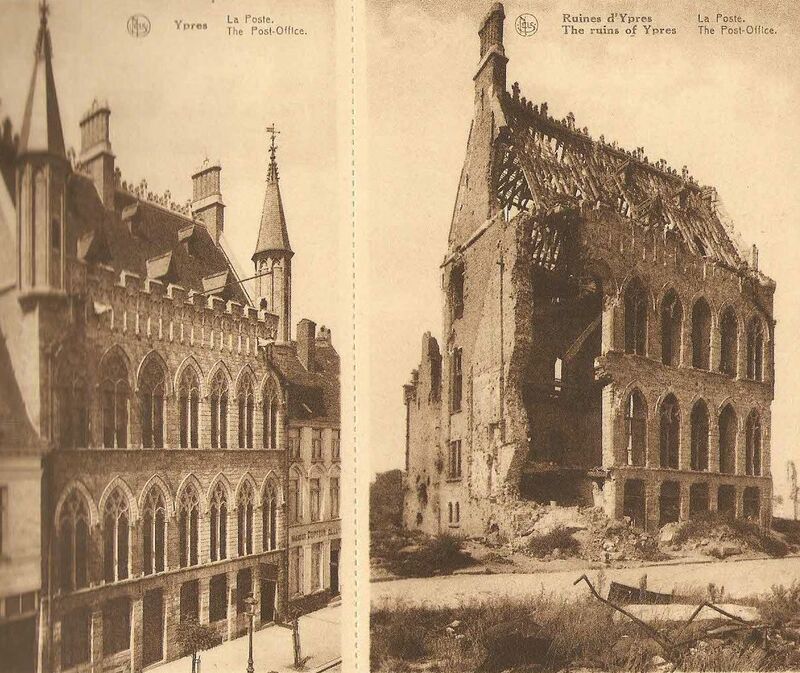 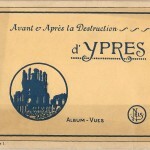 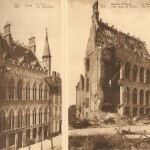 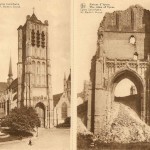 The Avant et Après la Destruction d’Ypres booklet, published by NELS, shows the city’s ten most significant buildings and their remains, photographed from similar angles. 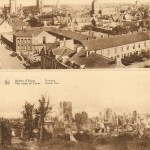 The view is heart breaking; looking at the pictures one can see how the battles fought here destroyed the city. 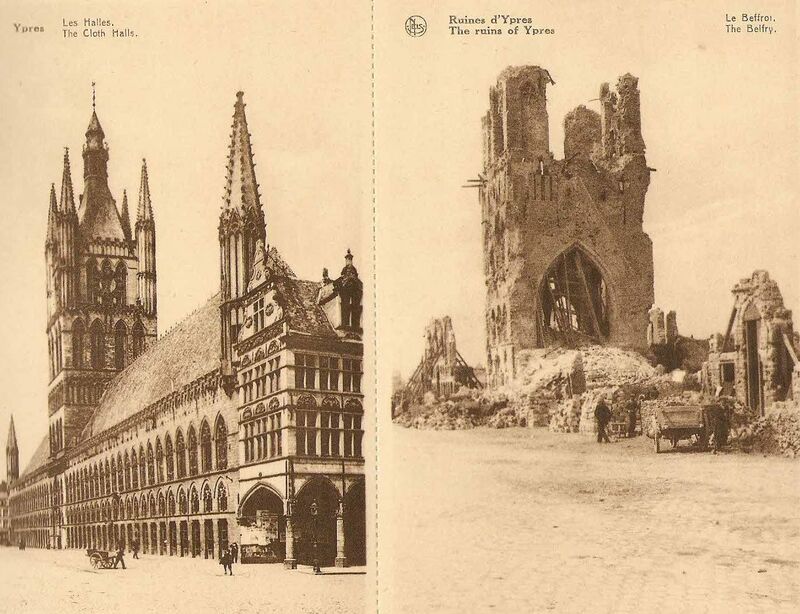 Ypres, in the West Flandres, had a very important position strategically, as it helped to impede German troops getting into North France. 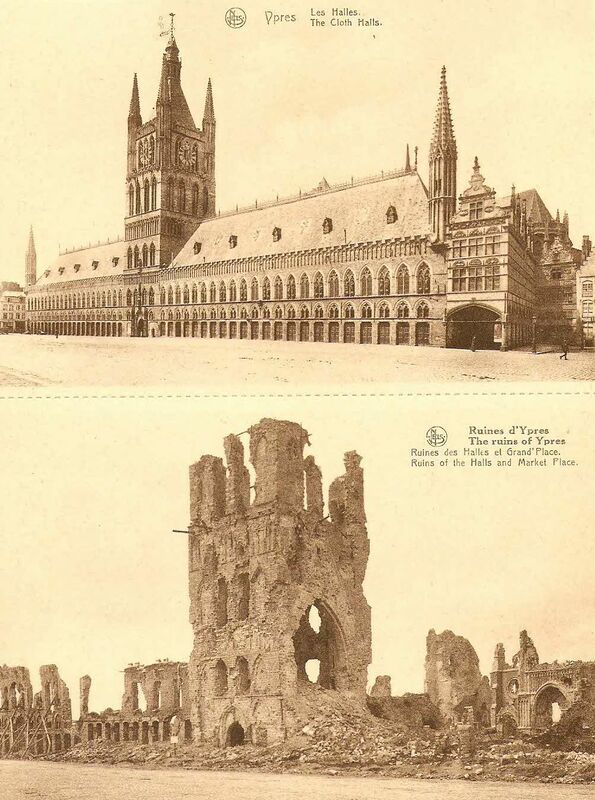 The Germans could not invade the city, so in the fall of 1914, they went into static welfare with the Belgians, fighting several battles around the area. 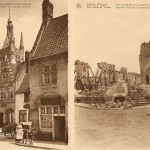 As a result, the city’s medieval section was almost entirely demolished. 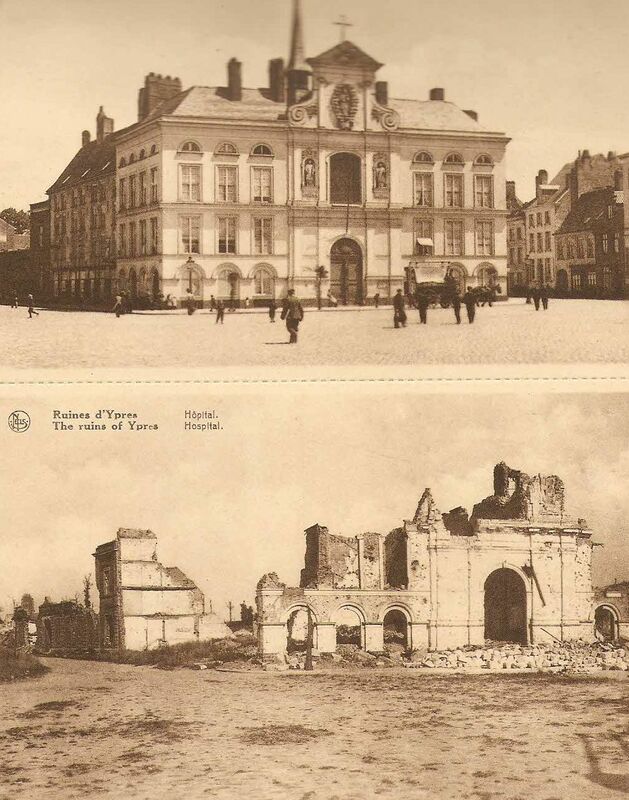 After the peace treaty, many buildings were rebuilt with the help of German money, so the Cloth hall (Lakenhalle) and town hall are somewhat similar to their original form. 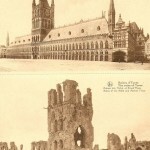 The second floor of Cloth Hall gives home to the In Flanders Fields Museum that is devoted to the study of the First World War. 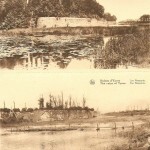 copyright 2009, Politikatörténeti Intézet, All rights reserved.